I have something a little bit different to share with you that I hope you will like! I decided yesterday to create a little eBook for you. This one includes some of my favourite recipes that I make on a regular basis: Chilli mince for tortilla wraps, home made pizza bases and beef mince pasties. I always use my tablet in the kitchen and thought this would be great to download and have handy whenever you want to make one of the recipes included. Plus it is easy to print out and keep in the kitchen or your cookbook. 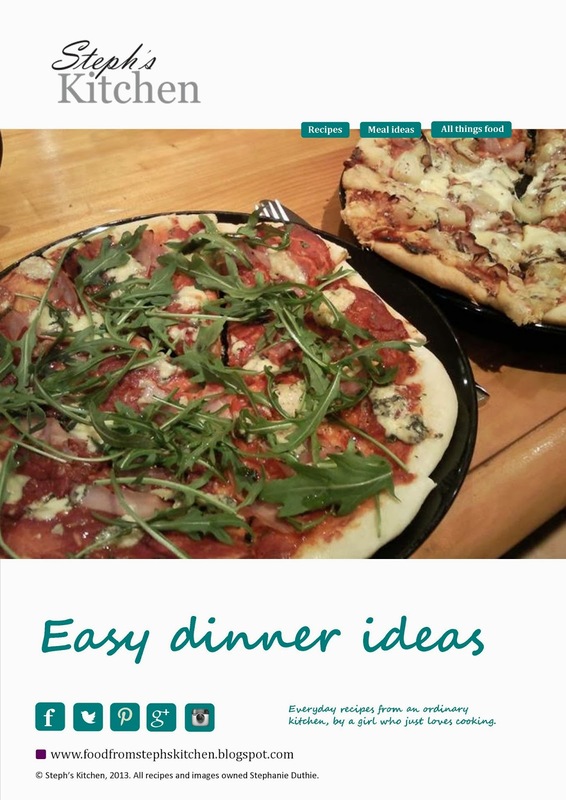 To download my "Easy dinner ideas eBook" simply click on the link below. I do hope this is something that you will appreciate as I'd like to create more as time goes by. So please tell me what you think of the idea or even about the eBook itself below! The recipes are fab (I've so got to try the chilli mince!) and I think the layout is wonderful. I love all the extra tips, too, such as the added info about the instant dry yeast.